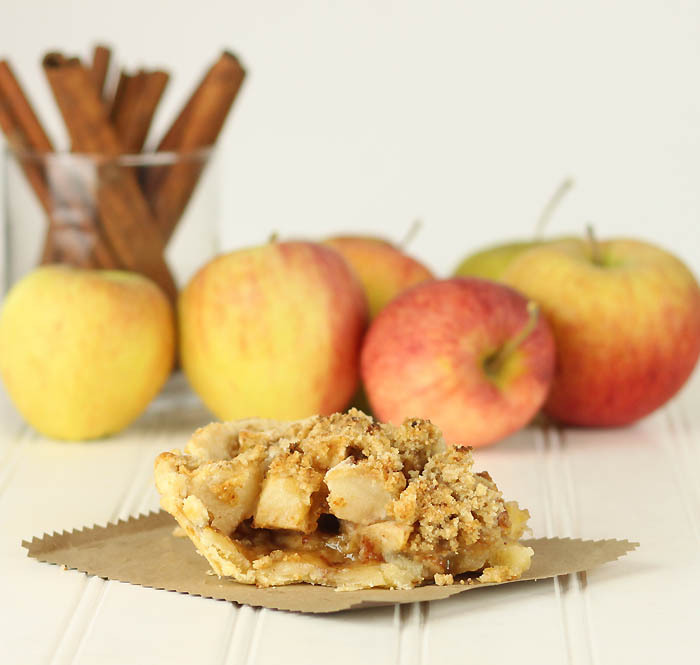 There’s nothing like the smell of an apple pie baking on a crisp Fall day! I had some leftover apples from a recent apple picking trip, so decided to make my favorite Apple Crumb Pie. 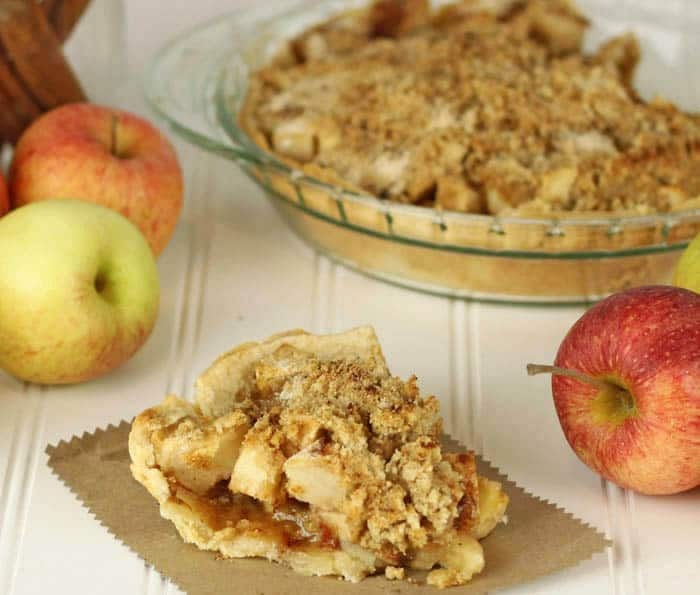 This recipe trades the upper crust for a delicious brown sugar crumble. 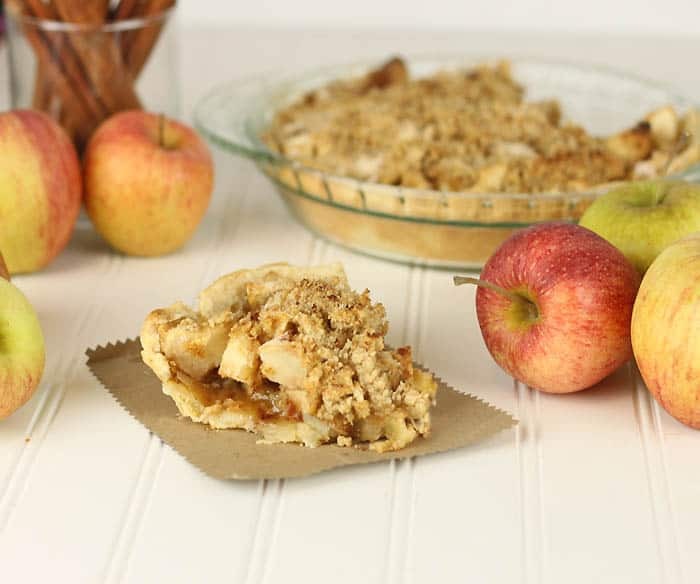 I think the crumble just takes the whole pie up a notch and compliments the apple filling perfectly! Don’t forget to add a scoop of vanilla ice cream, because, after all, it is the holidays! 2) Peel, core and slice apples into thin pieces. 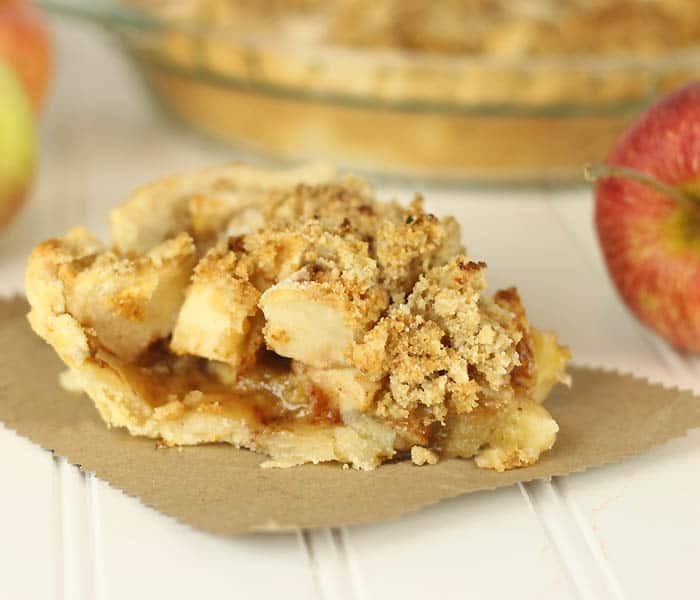 Combine the apples with the rest of the filling ingredients in a large bowl. 3) Place pie crust in pie pan. Add the apples and filling mixture. 4) In a medium bowl, mix the topping ingredients together. Mix together with a fork until crumbly. 6) Bake at 450 for 15 minutes. Lower to 350 and bake another 45.